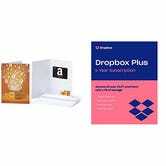 Well here’s something I didn’t expect to see today: Amazon is offering up $20 gift cards when you subscribe to a year of Dropbox Plus for $99, today only. 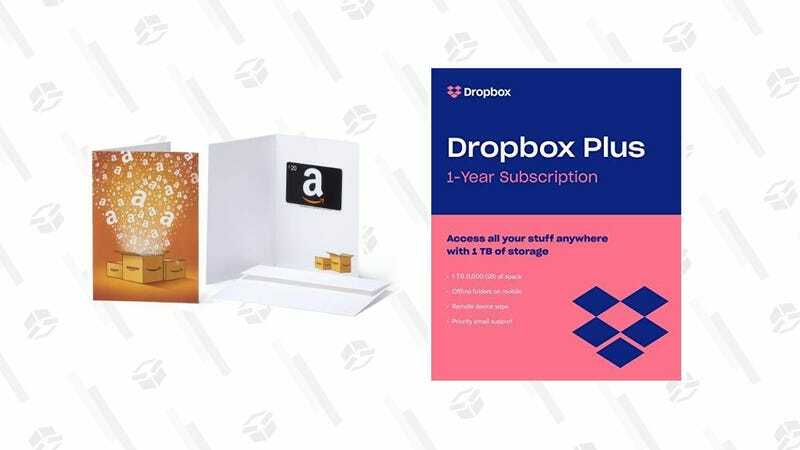 That gets you 1TB in the cloud to store all of your stuff for a full year, and the Amazon gift card that’s perfect for buying a bunch of movies to house in your new cloud storage. We don’t know if there’s a redemption limit on this deal, but we do know it’ll expire at the end of the day at the very latest, so don’t waste any time.